A 45 minute class; Kettlercise is THE single most effective Kettlebell fat burning exercise class, that uses the BSM method (Blood Shunting method) and is designed to re-shape and sculpt the body like never before. The class uses smaller Kettlebell weights for ladies ranging from 4kg for beginners up to 8kg for those who are ultra fit, and for men 6kg to 12kg. Kettlercise uses 37 blood pumping Kettlebell exercises in a set class routine that works every major and minor muscle group. It's the ONLY exercise class that gives participants a complete body workout. It's a high volume, moderate intensity program with it's non-stop program. 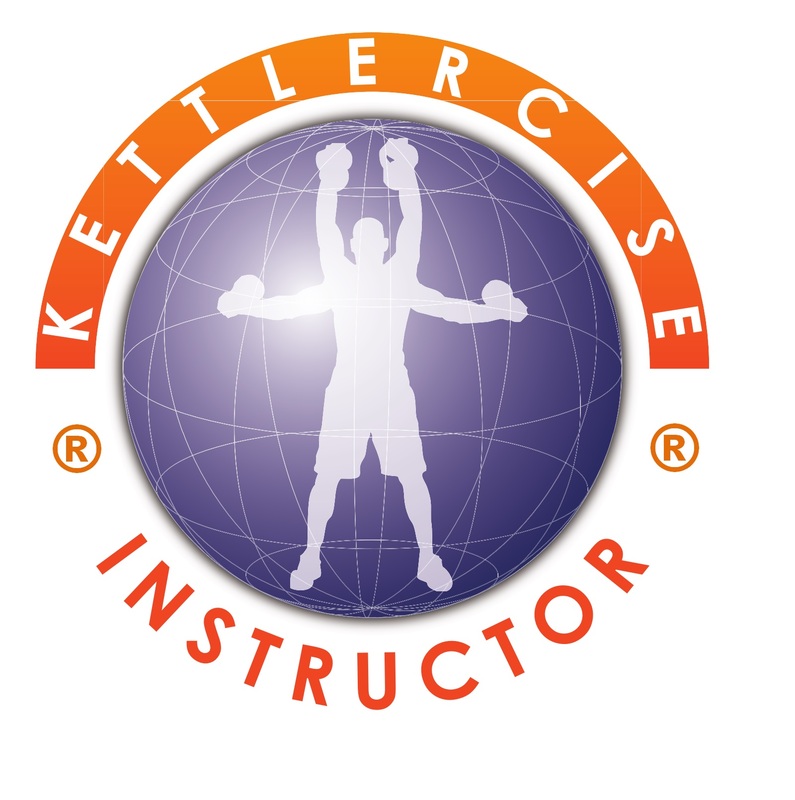 Kettlercise kettlebells are the only kettlebells allowed to be used and one will be provided for your first class, however you will have to purchase your own one to return. You can buy a genuine Kettlebell from mgstudio fitness limited. The 4kg Kettlebell is £22.00 and is suitable for all adults. The 6kg Kettlebell is £25.00 and is the recommended starting weight for all males. Regrettably we cannot permit the use of any other type of Kettlebell in class. Check the 'Offers' page for discounts and bargains. No, absolutely not. If you are following the programme and you are pregnant (or think you could be pregnant) we advise you to STOP immediately. Due to the nature and intensity of the programme we strongly advise you to not take part in Kettlercise. This even applies ‘post’ birth for a short period but particularly if you have had a ‘C’ section, and as with any exercise programme ALWAYS seek the advice of your GP before partaking particularly post pregnancy. If you are pregnant or trying for a baby, then you cannot take part in Kettlercise classes until after the birth. In all cases we recommend that if you are in any doubt as to whether or not you can take part, you should seek medical advice from your GP prior to signing up. Kettlercise classes cost £5.00 per session. A 'fit4all' pass can be used in Kettlercise classes.